A Kingdom project that is stored as a Microsoft SQL database needs to be attached to an SQL Server instance before it can be linked in Insight. 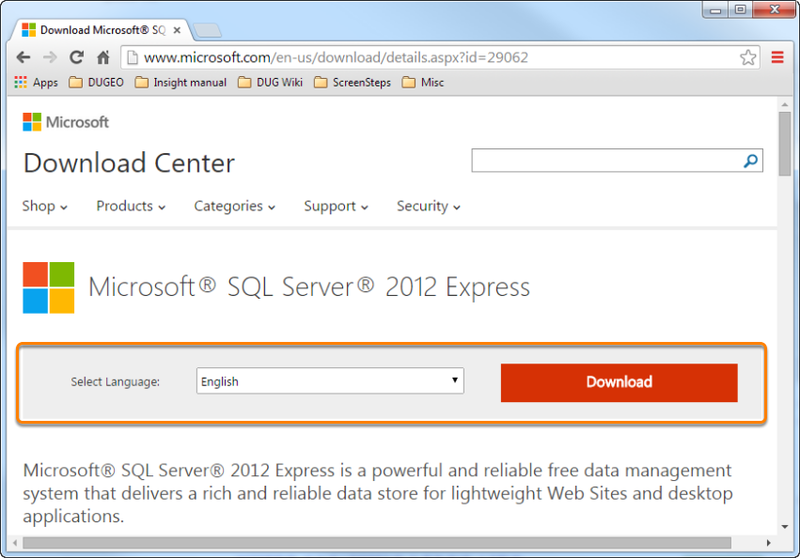 Follow the steps below to download and install Microsoft SQL Server Express edition for free from Microsoft's website. Insight will automatically attach Auto SSE projects to SQL Server when connecting. If you have a manual project, or your database is not auto-attaching, try Manually Attaching Kingdom SQL Database. To do that, you will need to Download and Install Microsoft SQL Server Management Studio Express. Note: If you, or someone you share the project with, plan to open the project using Kingdom in the future, see SQL Server versions and backwards compatibility. In the Address bar, type http://www.microsoft.com/en-us/download/details.aspx?id=29062 (or click on the link given for the 2012 Express edition). Select the language from the drop-down box and click Download. A window will appear for you to choose the files you wish to download. Select SQLEXPR_x64 to download Microsoft SQL Server 2012 Express for 64-bit operating systems. For 32-bit operating systems, download SQLEXPR_x86. Click Next (the button will not be clickable if you have not selected any file). You will be redirected to a separate Download site where your download should automatically start. If your download does not start, click on Click here to manually start the download. 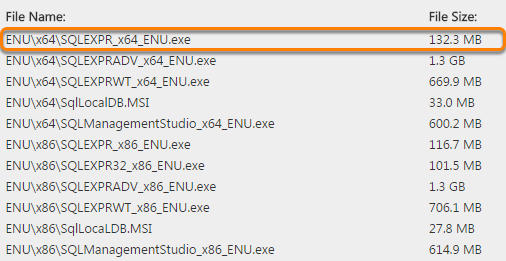 Right-click on the .exe file that you have downloaded from the website and select Run as administrator. 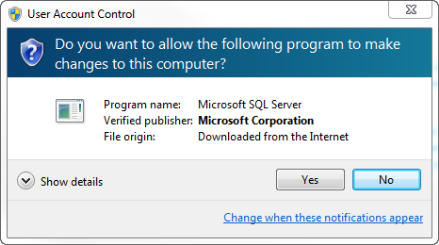 Click Yes if the User Account Control window appears. 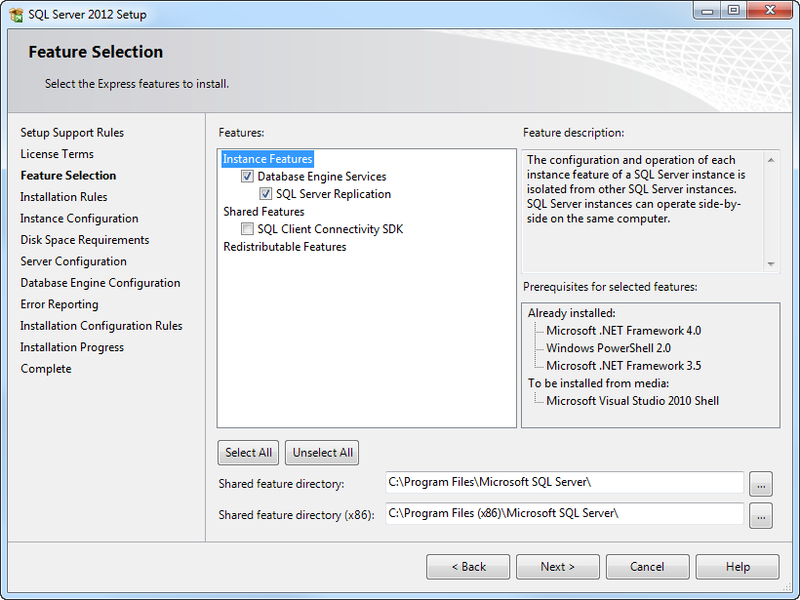 When the extraction is done, the SQL Server Installation Center window will be displayed. 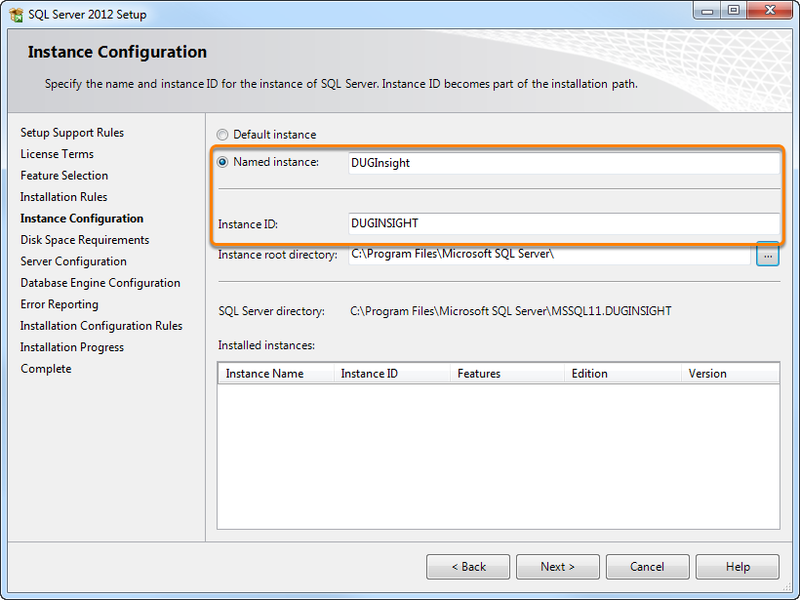 In the Installation Center, click on New SQL Server stand-alone installation to only install SQL Server 2012. Read and accept the License Agreement in order to proceed with the installation. Click Next (the button will not be clickable until you have accepted the terms and conditions). At the Product Updates window, click Next to download and install any updates. 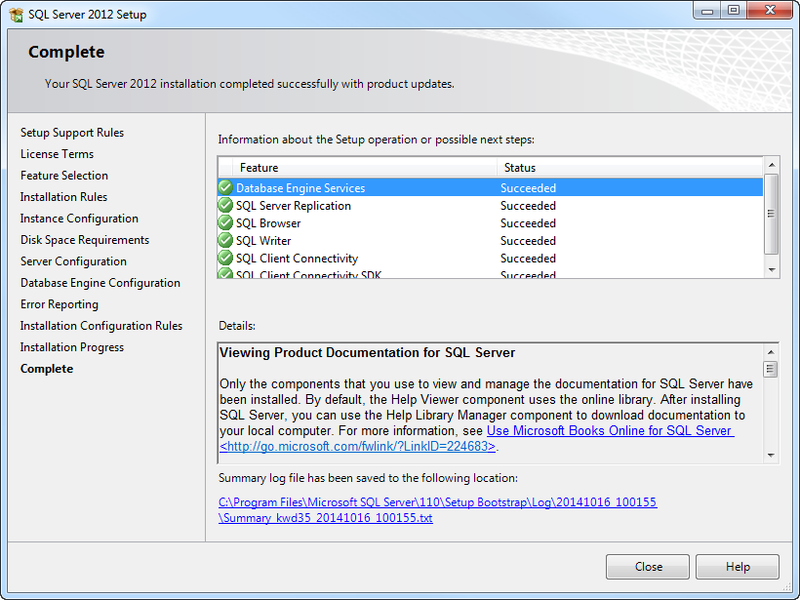 When the updates have been installed, the installer will check for any problems that might occur during SQL installation. Failures must be corrected before setup can continue. If there are no potential problems detected, proceed to Feature Selection. Select the features you wish to install. In this case, the Instance Features are sufficient. At the Instance Configuration window, select Named instance and type an appropriate instance name. We recommend changing this to "DUGInsight". The Instance ID and Server directory will be renamed accordingly. Click Next. The setup will check that the disk has enough space to perform the installation. If you meet the disk space requirements, the setup will automatically proceed to Server Configuration. 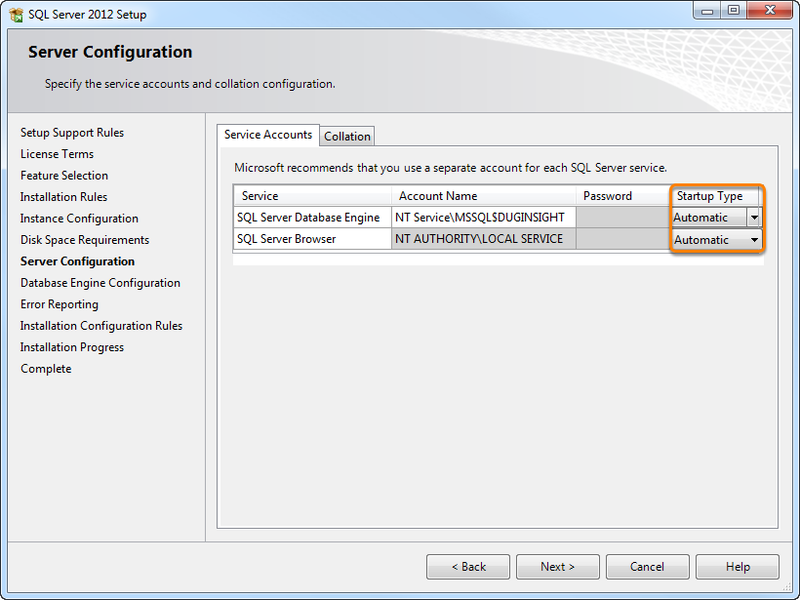 Configure the SQL server account names and password (optional). At the last column, select Automatic as the Startup Type. 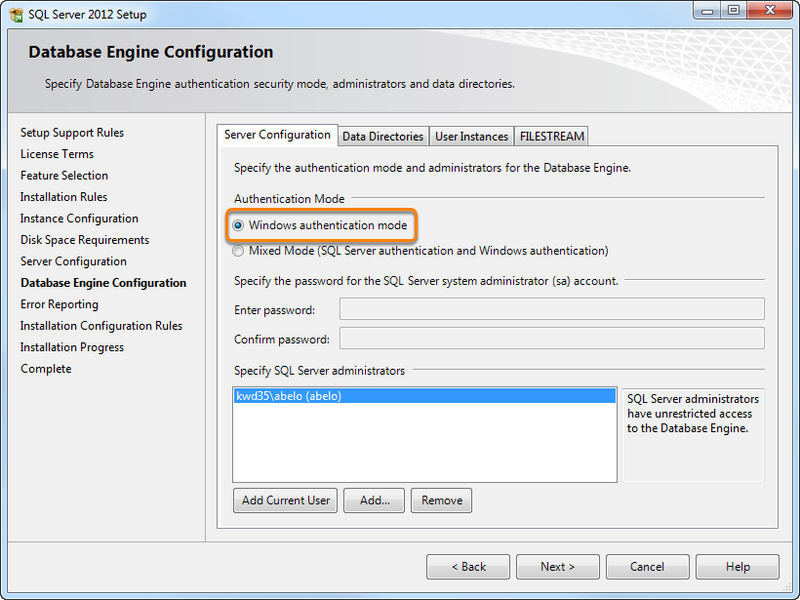 At the Database Engine Configuration window, select Windows authentication mode and specify administrators for the SQL server by clicking Add or Remove. Proceed to Configuring the Kingdom Link to begin linking items from your Kingdom project.